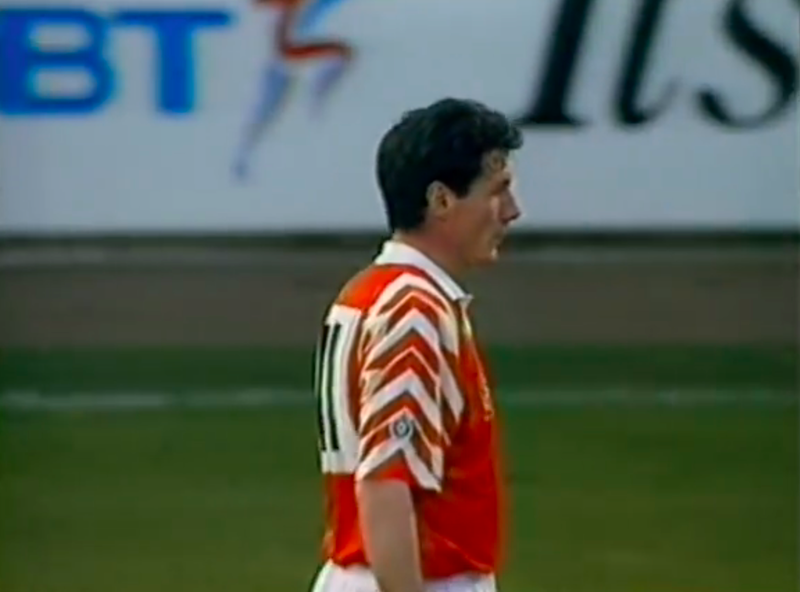 However, it was at this match that Brighton became the first League club to abandon a squad numbering system and revert to the original 1-11 shirts. 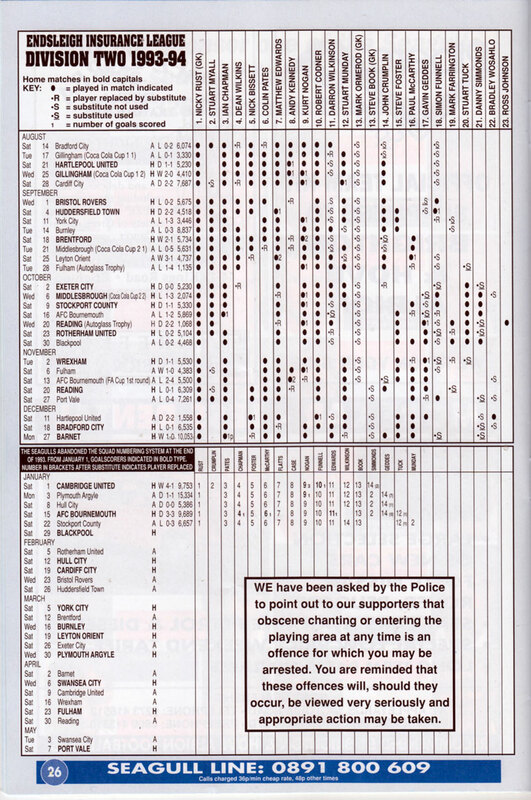 Squad numbers were optional under Football League regulations, with ten clubs utilising the system in the 1993/94 season. That was the last we saw of squad numbering at the Goldstone. 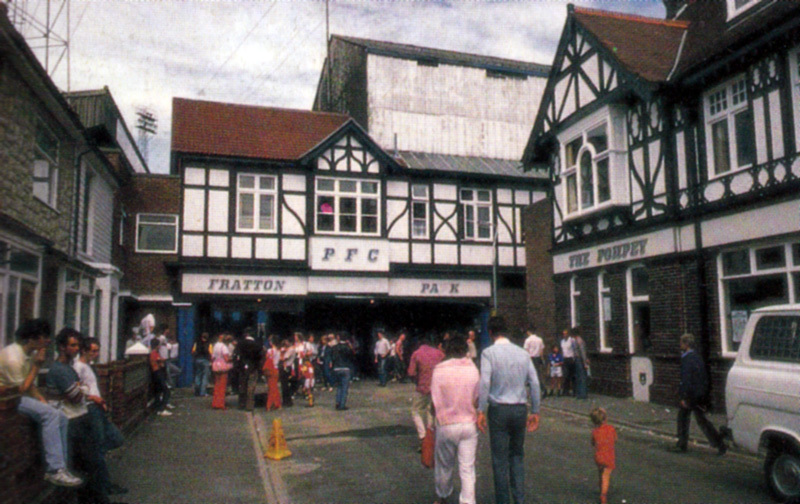 It was only a temporary reprieve for traditionalists, though, as by 1999-2000, it was back for the first season at Withdean. You couldn’t blame Liam Brady for wondering what might have been when he commentated on the World Cup finals in America. 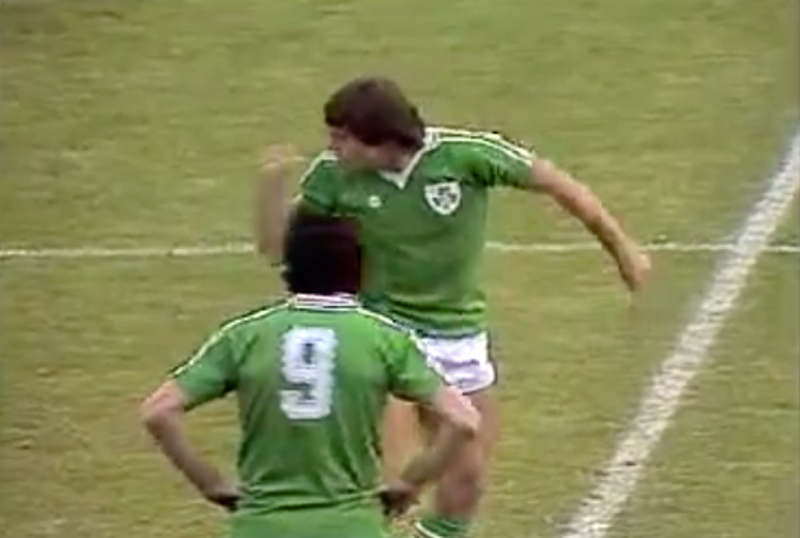 There he was, the man who won 72 Ireland caps and also graced the soccer fields of England and Italy, rubbing shoulders with the sort of super stars he once mixed with regularly. But any daydreams he may have had of returning to the high-life were abruptly ended. He was brought down to earth with a thud when he flew back home to Brighton. Waiting to greet him there were a group of more humble pros and the prospect of a financial crisis. For the seasiders, who won the imagination of the country 11 years ago in an FA Cup final clash against Manchester United and with a flamboyant manager called Jimmy Melia in white dancing shoes, are in real deep water again. Brady, who took over the reins last season days after Albion escaped being folded up, returned to the fear that there might be no money to pay his players’ wages. As it was they received their July salaries two days late. It’s been one heck of a culture shock for the former stylish mid-fielder. 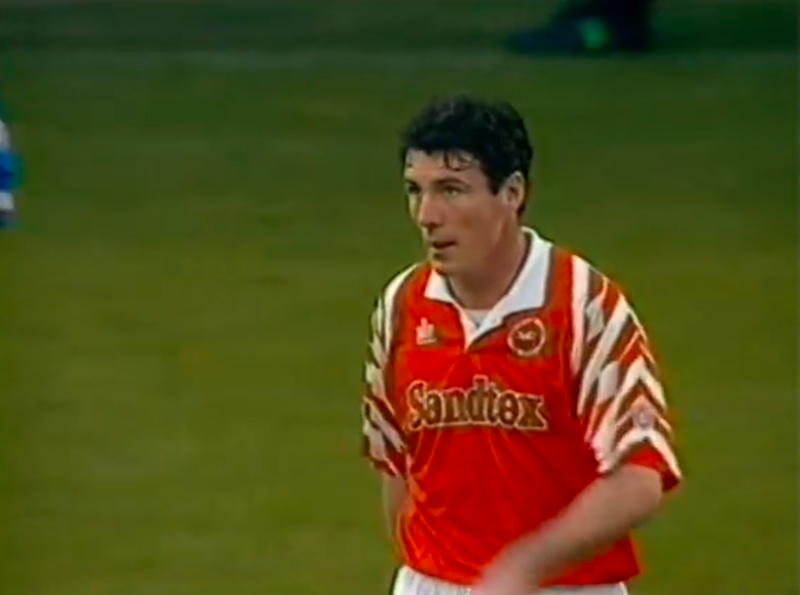 One minute he was watching the likes of Baggio and Romario; the next he was trying to scratch together a few quid to keep less romantic heroes like Dean Wilkins, Kurt Nogan and Paul McCarthy. As Brighton’s optimistic owner David Bellotti looks for a magic wand to keep the club afloat, so Brady searches for a miracle that will help lift his honest journeymen into the First Division [second tier] next season. It is quite an astonishing turnaround for a man who was one of the highest paid players in the world when he was in Italy with Inter Milan and Juventus and splashed out more than £5 million trying to restore Celtic in his two ill-fated years as manager at Parkhead. But he was honest enough to admit when he breezed into the Goldstone Ground last December: “1 have much to prove, haven’t I? I want to do it, otherwise I wouldn’t be here.” Liam signed a two year contract then with an undisclosed option at the end of it. And he remains confident. He reflects: “It was pretty hard deciding to leave Celtic. It was my first job in management and I will use the experience. The pressures are just as great here. ‘I’ve had 25 years in the game so far and I would like another 25; so I won’t be giving up without a fight, no matter what the hurdles are. I plan to stay at Brighton rather longer than Brian Clough did” (42 days for those without long memories). He’s already well ahead of that target – but can’t be certain how much longer the club will be around. Despite promises from Mr Bellotti last season of a more stable future the edifice crumbled again at about the time Brady was returning from America. The club, the players were told, just didn’t have the readies to pay their wages on time. But, and once again this is all new to Brady, the money was found and he kept his job – and his team. The cause was, of course helped by a preseason visit from Spurs that attracted an 11,000-plus crowd – a couple of thousand more than Brighton need every week to break even. Whether they get that depends on Brady’s ability to lift players of considerably less ability than himself, to heights that will take them into the First Division – and something more like the company the Irishman is used to keeping. Brady couldn’t hide his yearnings after that Spurs match: “It was nice to play quality opposition again,” he said. Well, if the bookies are any judge, there’s a fair chance he’ll be doing that NEXT season. Most rate Brighton’s odds of promotion at 12-1, with Birmingham, Stockport and Plymouth the only teams more fancied than the South coast club in the pre-season betting. 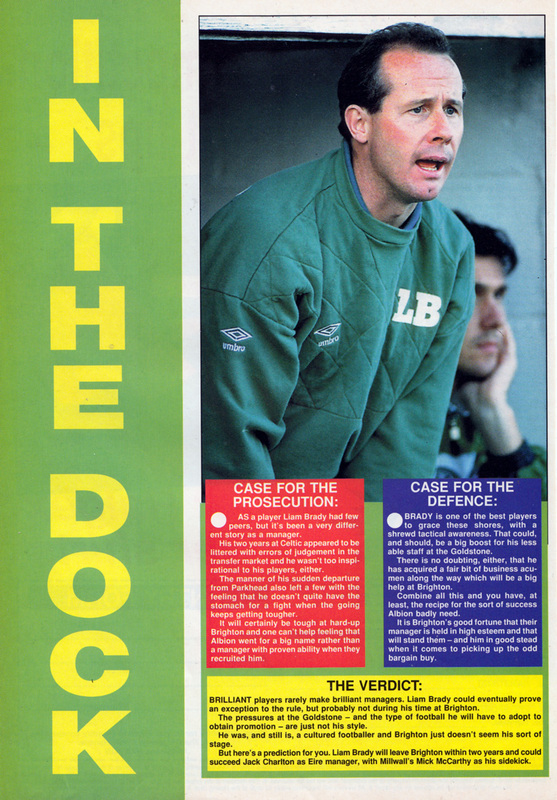 But even Liam Brady has to admit he’ll need a bit more luck than he’s had so far in his managerial career to lift Brighton. Money – or the lack of it – has decreed that he has to make do with what he inherited. There have been no Celtic-style buys this close season. The only new faces have arrived on free transfers – striker Junior McDougald and Jeffrey Minton, a midfielder, both from Spurs, plus Peter Smith, a youngster from non-League Swanley Town. So, for the moment at any rate, Brady will have to live with his memories of Highbury, Juventus and the last World Cup. But if he does get the breaks and Brighton do respond to his promptings there is the prospect of a brand new stadium to which he can look forward. 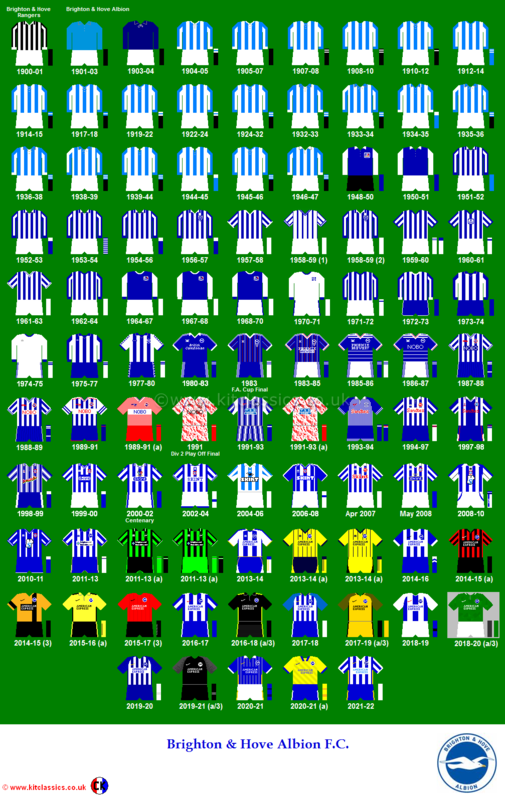 Money permitting, Brighton hope to move into that by the 1997/98 season. Whether Mr Brady will be with the team then remains to be seen. 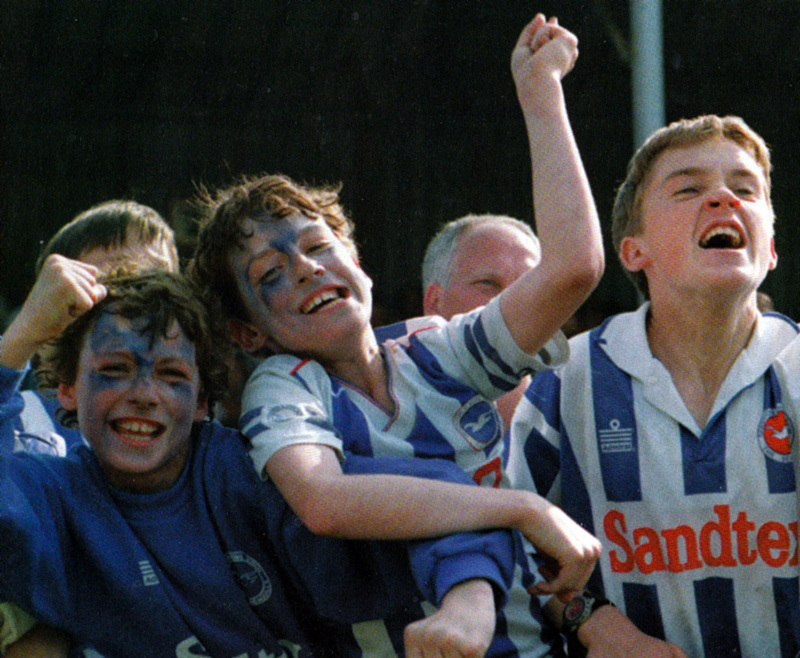 Of course, predictions of Albion moving into their new stadium by 1997/98 were wildly over-optimistic, as were the pre-season dreams of promotion, although Brighton showed excellent form at the start of the 1994/95 campaign. Brady won the divisional Manager of the Month award in September 1994, before that famous 2-0 victory at Filbert Street over Premier League Leicester City. 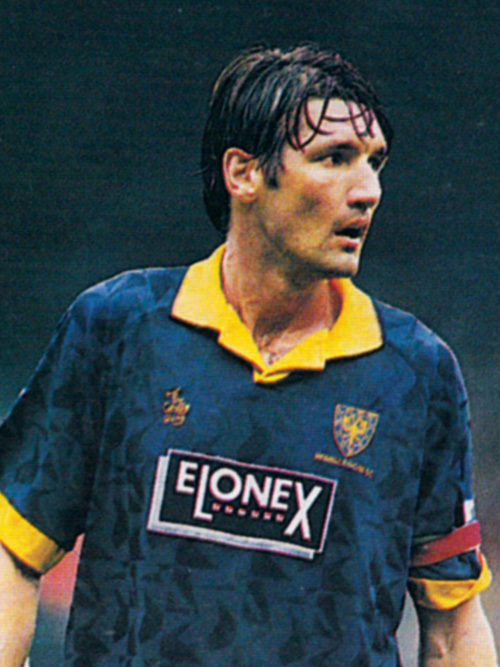 The wheels came off thereafter as star striker Kurt Nogan once again went through a long goal drought and Albion faded badly that season, ending in 16th position. 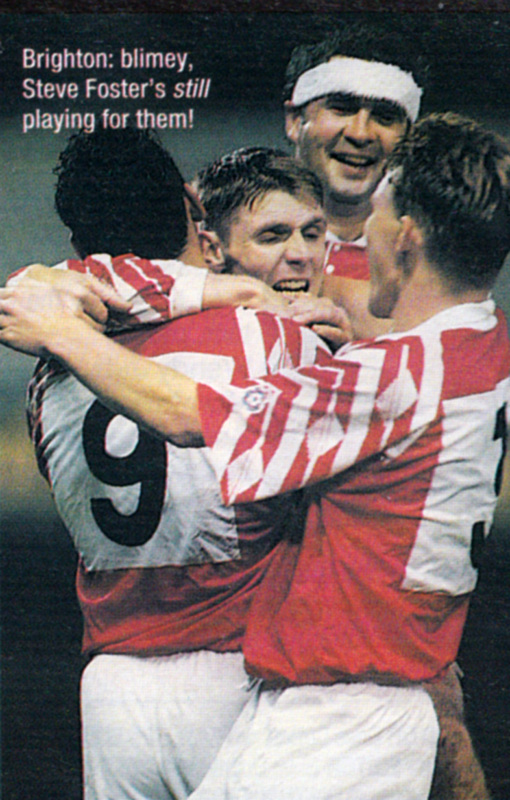 By 1995/96, the turmoil of the disastrous sale of the Goldstone and the disharmony at the club took their toll, not least on the players who found themselves in a relegation battle. Brady even found himself in the frontline to end a supporters’ half-time pitch protest. 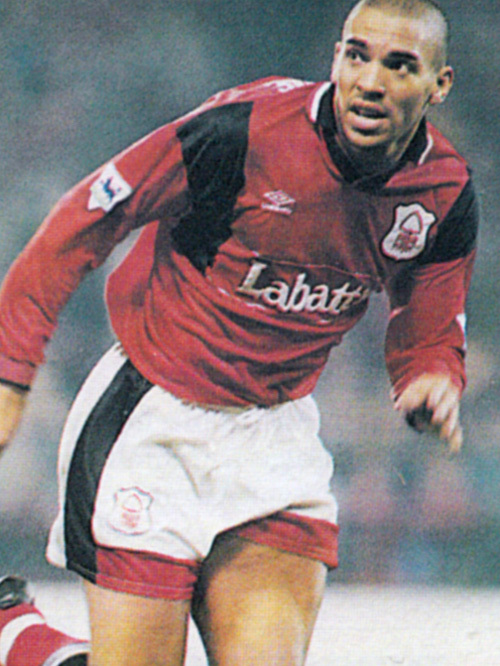 Despite retaining the backing of fans, he resigned in November 1995. Des Lynam may spend his Saturdays discussing the ins and outs of the Premiership with his Match of the Day colleagues, but what he’d really like to be doing is breathing in the sea air and cheering on his beloved Brighton at the Goldstone Ground. 90 Minutes dons a jacket and tie and asks our Des to spend an imaginary £8million on his Seagulls Dream Team. My family originally come from Ireland, but when we moved over here and into the Brighton area I started going to watch and developed a real interest. 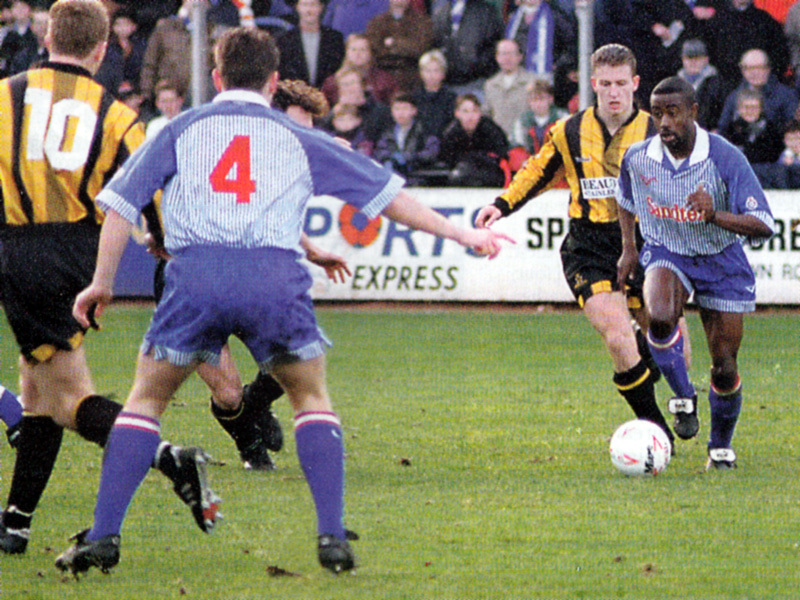 I started to go to the Goldstone Ground more and more as time went on, but I did play on Saturdays for school teams which meant I missed some games. Since I’ve been working on TV I’ve become associated with Brighton and have even been offered a place on the board, although I wasn’t mad enough to take it. I don’t get to see the team as often as I like because I have to work every Saturday with Match of the Day, but I follow their fortunes very closely. I also live in the London area now which makes it a little more difficult to go. But a team like Brighton are always going to find it very hard in a modern football environment. Liam Brady is doing a good job, but they’ve had a bad run of late which has pulled them down somewhat. I still feel Brady has a lot to prove as manager, but Brighton is a great place for him to make his mark. 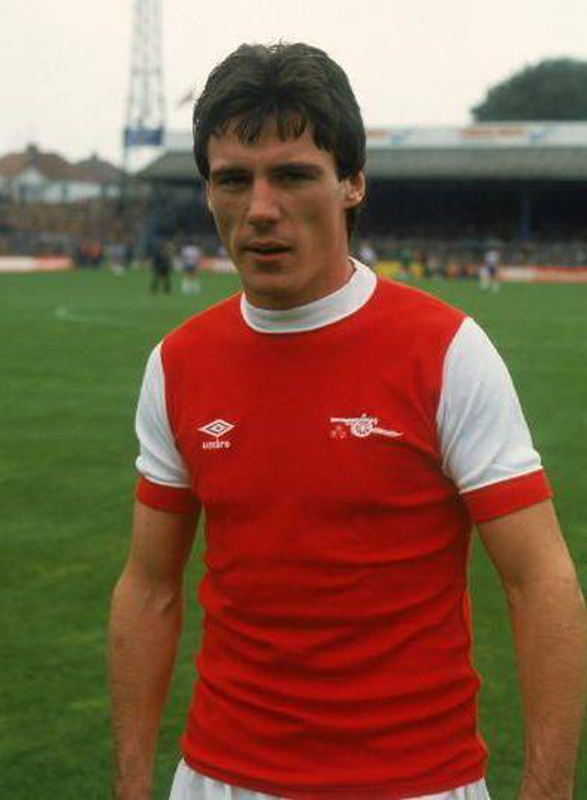 There has been talk of him moving in as the new Arsenal manager if George Graham was to leave, but I don’t think Arsenal would want to make such an ambitious appointment with an unproven manager. The main aim for Brighton this season has got to be survival in the Second Division and then we can look to build from there. An £8 million injection would surely have been enough to stop the club from selling the Goldstone Ground. But if it had to go on players who would Des have chosen? He’s a great competitor and would give us the extra edge we need in the midfield, although we do have Jimmy Case who’s still a good performer even if he is past his 40th birthday. Batty would win the ball for you and let the others play the football, though he has improved his passing game immensely in recent years. This will be a surprise choice for most, but he is perhaps the sort of player we could hope to sign with the financial situation at brighton. Harford would put the fear of God up the defenders in our division and would cause a lot of problems. He’s proved he still has the ability with his recent burst of goals for Wimbledon in the Premiership. One of the most sought-after players in the Premiership and it’s not surprising. Everything he does makes him look like a class striker. I wouldn’t say he’s the best in the country, though. 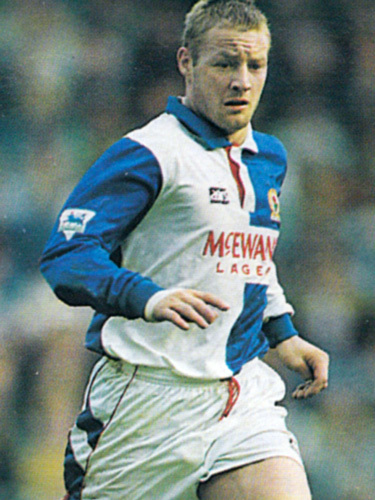 Alan Shearer’s the best striker around, but with just £8million to spend, I wouldn’t have enough to make a bid for him.